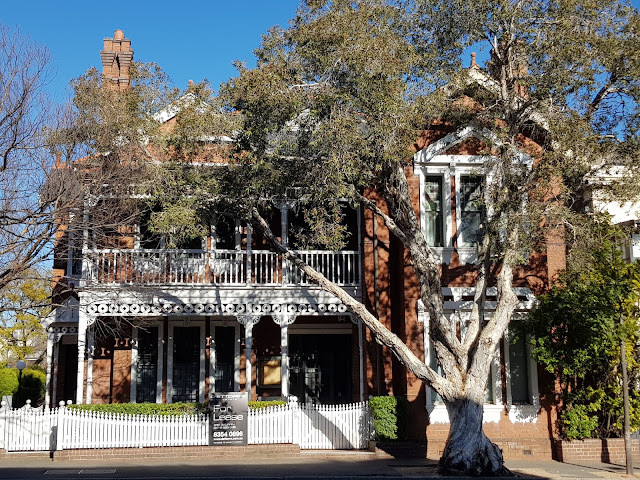 "Pendower" is a heritage listed house located along Oxford Street, in the eastern suburb of Paddington. It was built in the Federation Queen Anne architectural style as a residence but in recent years has been used as an art gallery known as The Caspium Gallery. A sign declares that it is currently "For Lease". We have some of the Queen Anne style here, but not a lot. This one's a beauty. Thank You For Sharing This Article. I Really Enjoyed It. What a fine looking house. Are you going to lease it? Just think, you could open a photographic gallery. Would be great but I'm assuming the lease in this prime location would be quite pricey. I love that old porch! Another gallery would be nice - especially if it also had a tea room. Beautiful! Hope it continues to be a gallery. Beautiful. Thank you for your comment on my site.